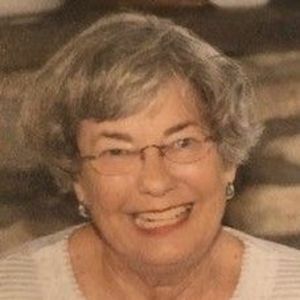 Carol Ann Killian, 81, of San Antonio, passed away peacefully on March 19, 2019 with her family by her side. She was born in San Antonio on February 22, 1938 to Ivan and Honnora Moore. Carol Ann loved her family and friends. A devoted wife and mother, she loved to read, cook, and travel. She had the gift of making everyone around her smile. Carol Ann graduated from Alamo Heights High School, attended Sophie Newcomb College, and graduated from The University of Texas at Austin, where she was a Pi Phi. She was a member of The Battle of Flowers Association, the Lantana Garden Club, the Junior League of San Antonio, and the San Antonio Country Club. Preceded in death by her parents, she leaves behind a loving family, including her devoted husband of 58 years, Richard Killian; brother Richard Moore and wife Patty Lou; brother-in-law John Killian and wife Jessie; her children Kelly Satel and husband Jim; Kathryn Hensey and husband Thomas; six loving grandchildren Henry Satel, Ava Satel, Hunter Hensey, Gage Hensey, Chase Hensey and Teel Hensey; numerous nieces and nephews; and her much loved dog, Belle. Rev. Scott Simpson will officiate. In lieu of flowers, you may make a donation to The Humane Society of San Antonio or The Animal Defense League of Texas.